This is the second blog post in our three blog-post serials dedicated to social media management tools. If you want to check the first one, click here. In the previous blog post, we’ve reviewed the best 15 social media management tools that can help marketers and agencies/enterprises managing their social media. There can be several criteria for choosing the social media management tool that suits your company the most like: satisfied users, features they offer, or better, their efficiency, and ROI they provide. The following 5 tools are slightly different. They are easily considered to be of the most productive social media management tools on the market. What makes them so special, you ask? These are the most important factors based on the thorough research we did when we were looking for the criteria that would help us distinguish what makes one social media management tool better than the other. However, every business should choose the social media management tool that suits its needs the most. The social media marketing team shouldn’t rely exclusively on reviews or case studies about a certain tool. Encourage your teams to try different social media management tools and see which works the best for you and your specific requirements. 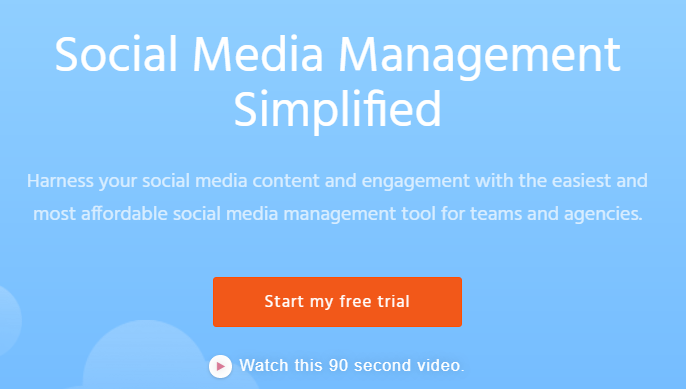 Here is another round of 5 social media management tools for your team to use. One highly qualified all-in-one social media management tool is Agorapulse. It’s not a coincidence that 11.000 satisfied users have chosen this tool to be their go-to tool. And when you can boast with clients like Disney, Dove, and IvesSaintLaurent, that speaks for itself. Agorapulse offers different features for small businesses, agencies, and large teams. One of the coolest features about this social media management tool is the Reach Zero Inbox which enables you to reply to the comments your followers are leaving on different social platforms. This brings us to the main features. Measure/Report. Get reports about relevant KPI, measure results that go beyond Likes, and see which posts are getting the highest ROI. Collaborate. Easily assign tasks and get a closer look at your employees’ productivity. Publish. Post content on social networks according to your schedule. Engage. The Engage feature allows you to reply to all of the conversations in one place, block all irrelevant messages, and assign new tasks to your team members. Listen. Stay on alert about topics related to your business, brand, and industry in general. Receive alerts about trolls and be able to block them. Each solution is created to simplify social media management, save time and money, and bring productivity to a higher level. Here we should also mention that Agorapulse as a social media management tool supports the 5 most popular social networks – Facebook, Twitter, Instagram, LinkedIn, and Youtube. Plus, they have a ‘Help Library’ where you can search any unresolved issue regarding the app. So, if you’re looking for a flexible social media management tool that will help you post on different social media profiles at the same time, and manage your team while you’re at it, you should definitely consider Agorapulse. Next on our top 5 list is Buffer. It is a social media management tool that helps you schedule, analyze, and manage social accounts – all from one place. You can even install the Buffer Chrome Extension and share content whenever it suits your audience the most. 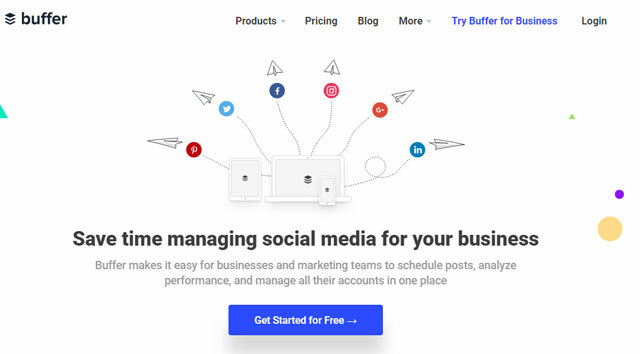 Buffer Publish helps businesses and marketing teams to easily schedule posts, analyze their performance, and manage all their social accounts in one place. Buffer Publish provides the means for any marketing team to analyze, schedule and manage social accounts from one dashboard. The supported social platforms are Facebook, Twitter, LinkedIn, Instagram and Pinterest. If you want to increase the engagement rates on social media, you need to stay in touch with your followers. Buffer Replay will help you do exactly that. It can help you answer every social interaction easier and faster and all that from one place. Buffer Analyze will help you measure the performance of your posts on social media. A simple, but great feature that contributes to the already highly functional features. Buffer is a great social media management tool if you want to post regularly on your social media networks without spending too much time making various posts. But, before investing in Buffer (or any other social media management tool, for that matter) first make sure that it has all the features you need. You can search through their knowledge base if you have any questions about the products. Or you can try their basic free version. In addition, you can go through the reviews and case studies from companies like Business Insider or Fortune Magazine to get a better picture of this social media management tool and its functionalities. After all, Buffer had earned its place on our top 5 social media management tools. Let’s continue with our next one. Nominated as #1 ROI tool two years in a row (2017 and 2018), this powerful all-in-one tool has well deserved its place on this list. Described as a brand builder management tool, this social media management tool can schedule, analyze, engage, optimize, and measure your posts. eClincher as a social media management tool is directly integrated with multiple social media platforms such as Facebook, Twitter, Instagram, Pinterest, LinkedIn, YouTube. You can organize the content with queues, and shorten the URL links. The coolest thing about eClincher is that it can recognize the influencers of your industry. You can use this feature for increasing your brand awareness. If you choose to use this social media management tool for your social media profiles, you’ll be in quite a good company – the tool is featured on Forbes, The Huffington Post, ABC, The Daily News, etc. You can schedule your posts on social media, edit images or use video and view your scheduled posts in a smart visual calendar. With this feature, you can auto-post the content for each social network in the most suitable time for your brand. Once posted you can recycle them when needed. Manage all of the social media conversations, mentions, comments and messages from one place. Use keywords and hashtags to monitor your brand’s reputation on social media, including negative comments. And this last feature measures the effectiveness of every social media post so you can optimize it to reach your audience better. Just looking at the features it is pretty clear that eClincher is a highly recommended social media management tool especially because of it’s Unified Social Inbox and their Auto Posting Queues. It’s perfect for small businesses and agencies and since it has won several awards that’s additional credibility to their service. SproutSocial is an all-in-one social media management tool that can easily become your marketing team-best friend. You can schedule, analyze, and measure the reach and engagement of each of your posts, from one place. You can use SproutSocial to add tasks to your team. Basically, each team member has a different view of the tasks. What is good is that different team members have a different view of the tasks. For example, if you are the CEO or the manager, you will have access to all the tasks related to you. At the same time, the members of your team will have access only to their specific tasks. Collaboration – Have all of your team messages into one stream and manage the team workflow with a single social media management tool. Engagement – Use the Smart Inbox feature where you can get a view of all of your social accounts in one stream. Automation – Automate the social media process, so that you can provide better service for your clients. Publishing – Create, post and manage content on multiple social accounts. Listening – See what your audience is talking about you on social media by using several listening tools. Analytics – Analyze the progress of each network and have access to presentation-ready reports in 18 characteristics. Social Sprout is integrated with social platforms like Facebook, Twitter, Instagram, LinkedIn, Pinterest and Facebook Messenger. They have excellent help center which educates the customers on the app through videos. It’s slightly more expensive than the rest of the social media management tools on this list. However, if the cost is not an issue, SproutSocial may be what your company needs for increasing the overall social media presence and eventually the leads. 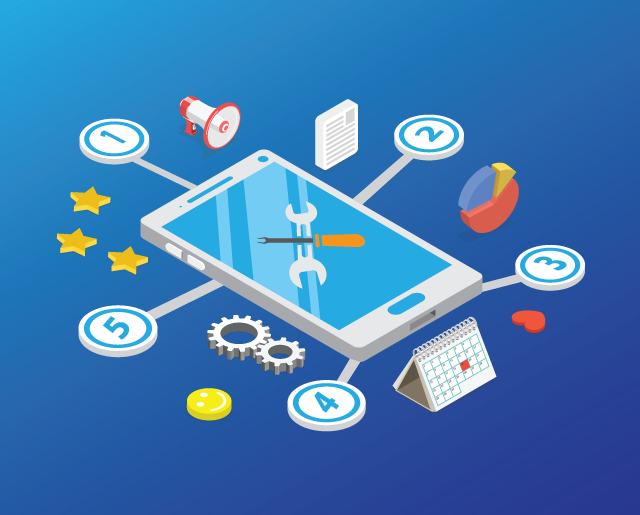 MeetEdgar is the fifth creative tool on our social media management tools list that can multitask with the several effective features it has, just like an octopus does. This social media management tool uses your content on a slightly different level than the rest of the tools. The app creates variations from your articles or blog posts. You can edit or delete these posts, but mostly, it does the job for you. MeetEdgar writes the social media posts for you. It finds a text worth sharing which you can edit or delete if you don’t find it suitable. You can create a library of content from any source, including YouTube. Choose your favorite sites and collect store your favorite articles from there. Use MeetEdgar to test different messages on social media and to provide a report on a weekly basis. With these features, your social media team needs to just upload the content and the rest is done by Edgar. The social media management tool posts and recycles the content as it sees fit. There is only one pricing plan for all kinds of business. It’s 49$ per month and you get the app with all the features. Saving your favorite content is also enabled with the MeetEdgar Chrome Extension. With this addon, you can save content to the library easier and faster. It’s the only social media management tool that offers this option on the market right now, and there are a lot of users who seem to like it. Currently, Edgar works with Facebook, Twitter, LinkedIn, and Instagram, but they are working on integrating Pinterest too. The team behind the app has done a great job creating the help page, which has the answers to all questions you could have about the tool. This second round of tools might seem more impressive and effective than the first 15 tools. But, even those might not be some marketers cup of tea. Some of these social media management tools might be difficult to use. Others, maybe, don’t offer certain features that are relevant for achieving your company’s goal. We are such a company. In our 10 years of digital marketing experience, we have looked over and above trying to find the right tool for our company. One that would be easy to use but effective, with just the right amount of features. We found none. None of those we tried have really got us closer to our audience on social media. Sure, they have increased our social traffic and helped us increase engagement rates. However, if you are over 10 years in this industry, those metrics become soft. None of that provides any value back to the business. But that all changed once we found the tool that entirely understood us as a company. Want to know what kind of social media management tool is Populizr? Then stay tuned for the last blog post in this serial.